Frederic Avella was immersed into the family business from a very young age. Born in 1975 to the 4th generation of Master stonemasons, Avella was taught by his father how to polish, cut, and shape different works in stone and marble when he was 12. At the age of 21, the municipality of Sanary located on the French Riviera chose Frederic to spearhead full renovations of multiple fountains and public statues. 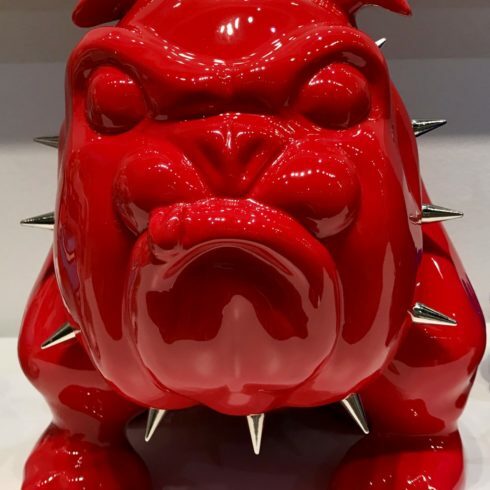 Frederic Avella contemporary work offers a variety of finishes while being influenced by today’s French design industry with respect to ideas about pop culture, cartoons, and comics. Frederic’s concept is to parody the serious character in an amusing, almost burlesque way, knowing what the animal image represents in pop culture while being often used for brand labels or as mascots. 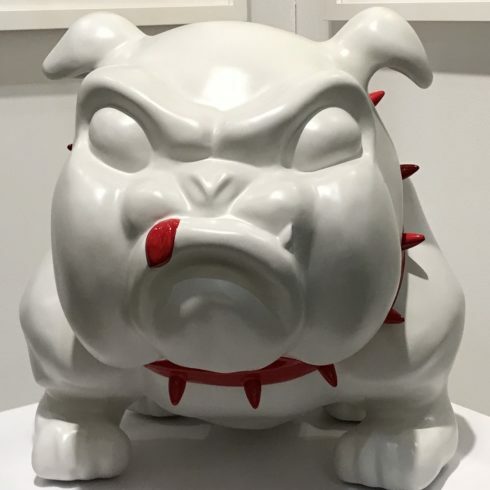 Our Fine Art Gallery has the finest quality Frederic Avella original art sculptures mainly bulldogs. We have a large inventory available off-site and we encourage you to make an appointment to see specific works you are looking to collect. We are happy to meet you at either our art gallery showroom or at your home or office for a private presentation. 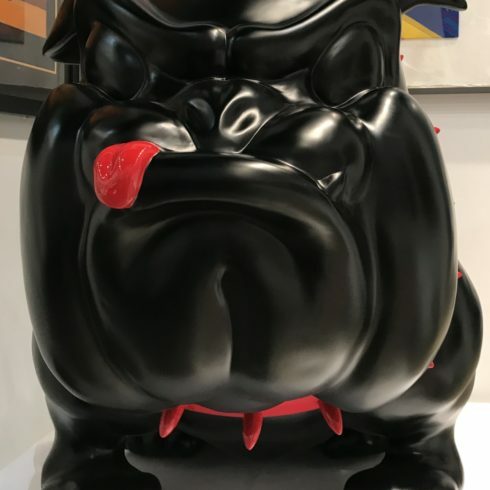 Frederic Avella created “Freud”, his first sculpture series, manifesting his intention to demystify different animals with proportions, exaggerations, round lines, and personification. 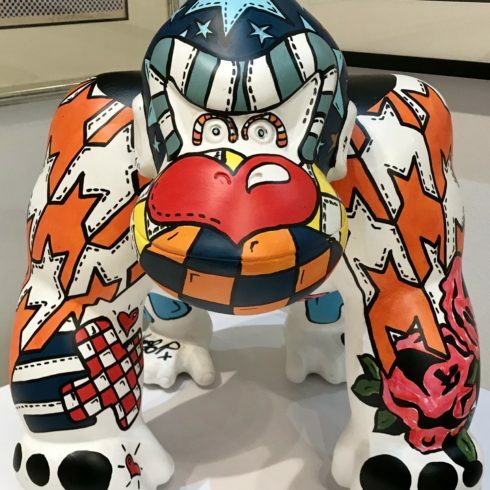 Frederic’s concept is to parody the serious character in an amusing, almost burlesque way, knowing what the animal image represents in pop culture while being often used for brand labels or as mascots. Yet still, the animal’s characteristics remain loyal, faithful, courageous, powerful and strong. 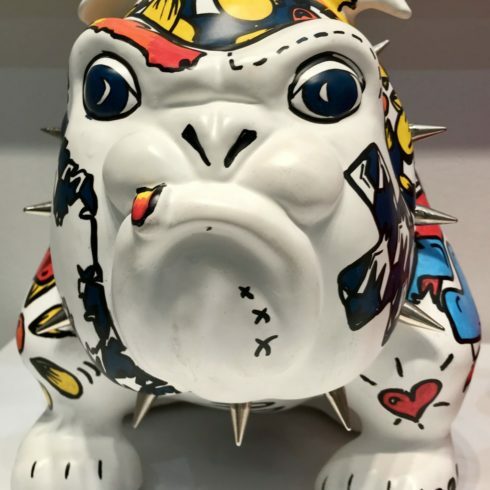 He creates, revisits and customized animal subjects by giving them a touch of candy pop art aesthetic and bright color finishes.